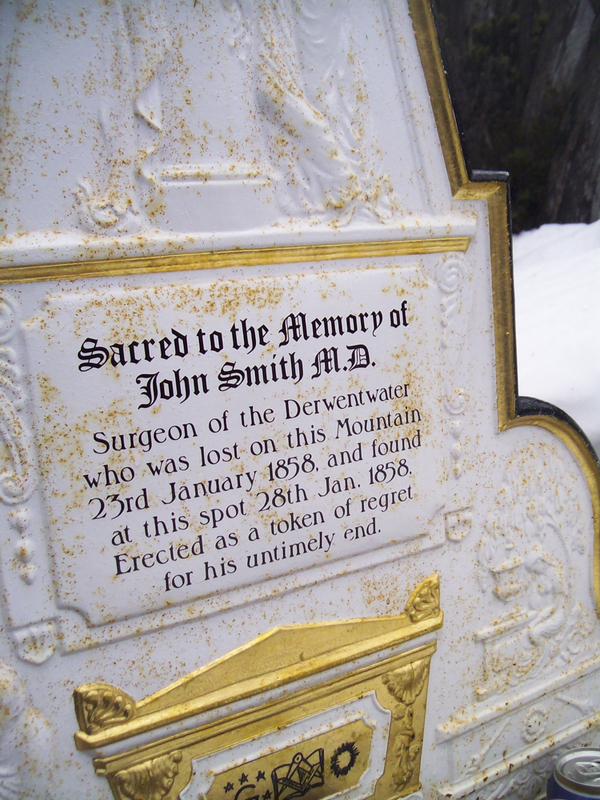 Located on the southern face of Mount Wellington Smiths Monument, dedicated to John Smith a leading surgeon who died on the mountain in 1858 is a short but impressive walk. From the summit car park follow the South Wellington Track past the large broadcast tower. 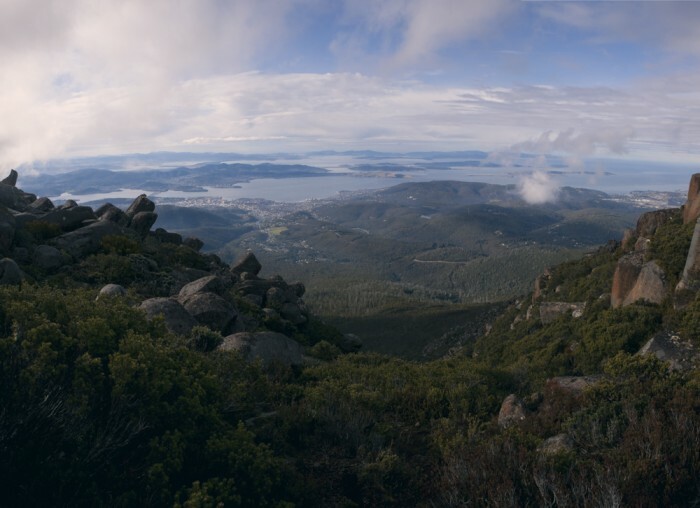 For the next 500 meters the trail weaves its way through the beautiful dolerite boulders of Mount Wellington’s southern face. 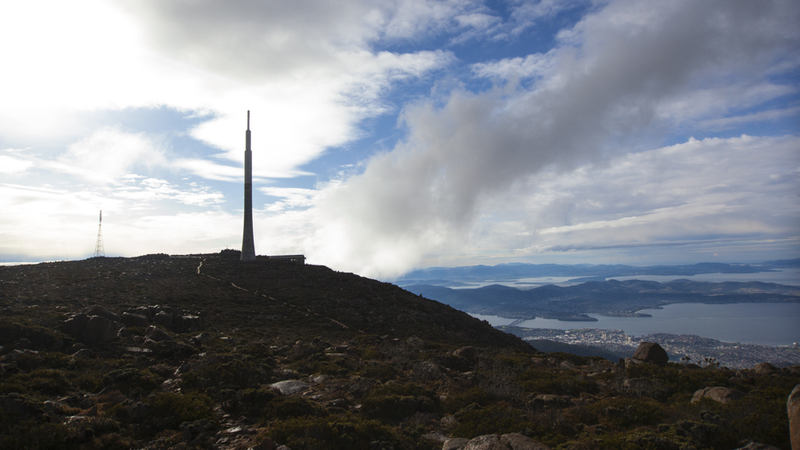 In clear weather sweeping views of the Derwent River and the eastern shore can be seen throughout. The track descends gently onto a plateau following a well formed track before reaching the Ice House Track Junction. Here Smiths Monument will be sign posted leading off to the right. The track soon diminishes to faint trail of markers crossing open snow gum forests. The monument is reached 20 minutes later. Return via the same route. View Google Map Directions From Hobart head west via Davey Street (A6). Keep in the right lane and continue past the turn off to the southern outlet. After 6km, turn right onto Pinnacle Road (C616). 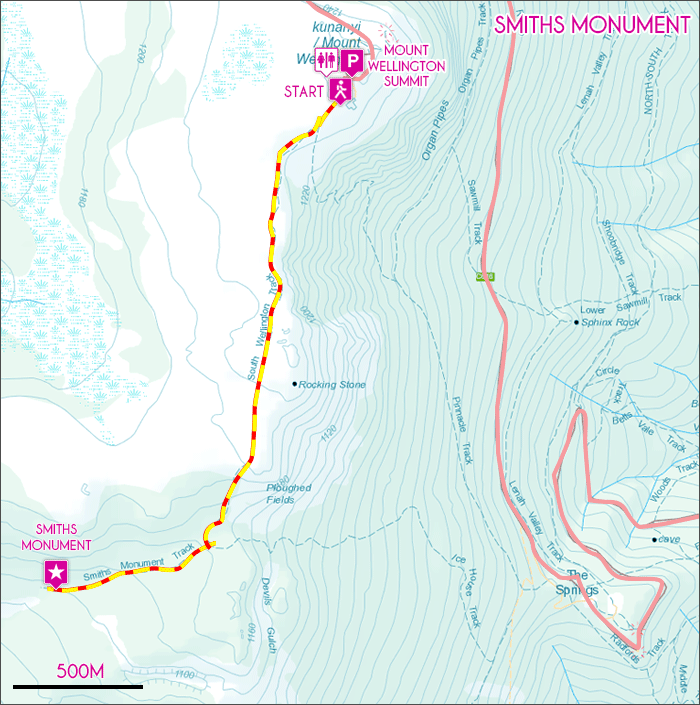 This route to Smith’s Monument begins at the summit of Mount Wellington, 12km further along Pinnacle Road. Weather on the mountain can change dramatically in moments, even in summer months.